1974 Honda CB 400. 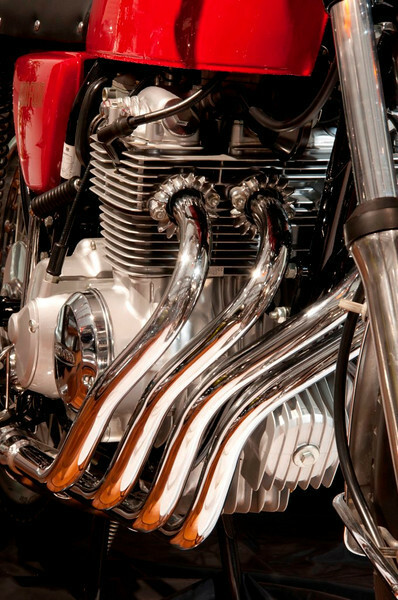 Slim for a transverse Four, the CB400 had a beautiful header array. The OHC engine put out 37 hp at 8,500 rpm. In red, this bike is terrific! (Honda Collection Hall).